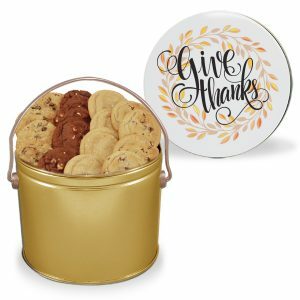 It’s a combination of our two top selling gourmet treats in one gourmet bucket! 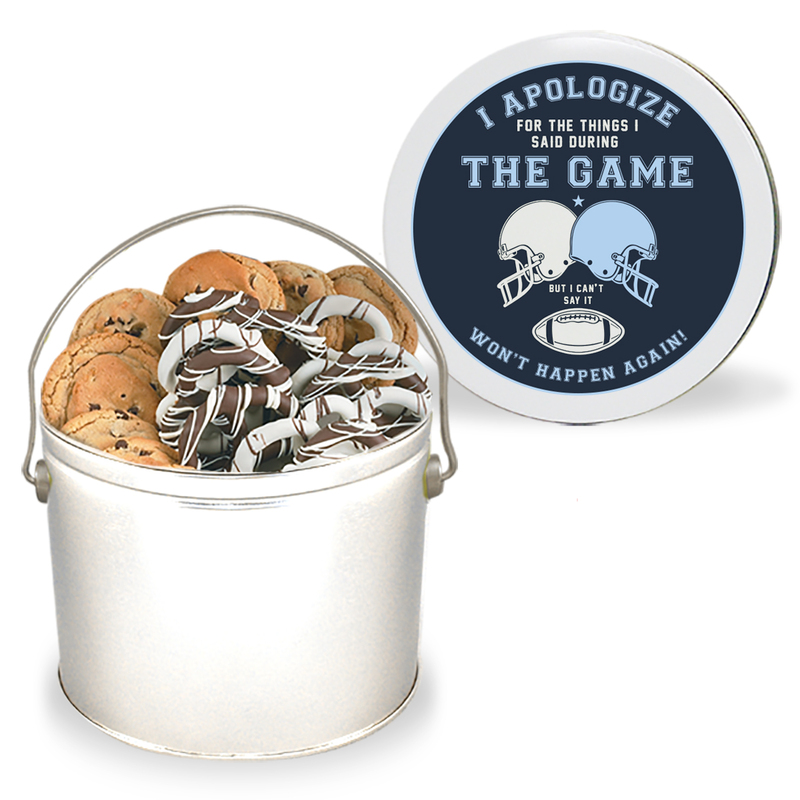 Our Football Cookie & Chocolate Pretzel Bucket is a combination of our two top selling gourmet treats in one bucket! 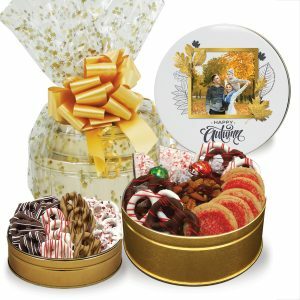 Send someone you care about fresh-baked cookies, milk chocolate and white chocolate pretzels. 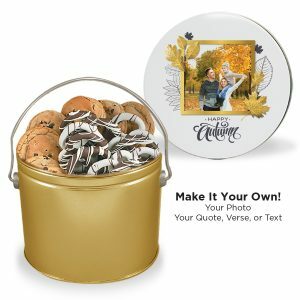 Choose a beautiful stock designer bucket; or personalize it with your own picture or message on one of our themed templates. 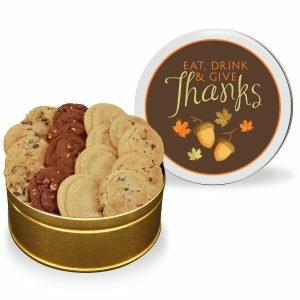 18 fresh-baked gourmet cookies in your choice of cookie flavor, 12 milk chocolate pretzels and 12 white chocolate pretzels.